After the recent turn of events that saw President Donald Trump pull the U.S. from the Paris Climate Accord, it looks like the directors behind the sequel to Al Gore's famous climate change documentary, An Inconvenient Truth, will be making some edits. 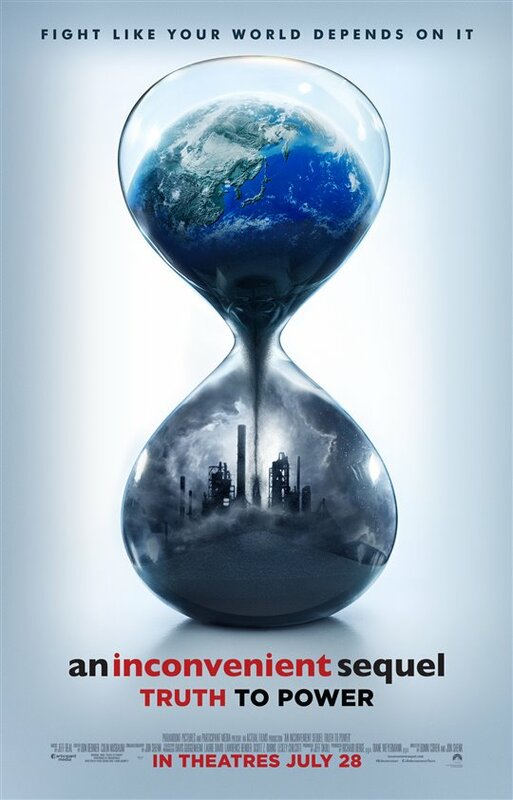 An Inconvenient Sequel: Truth to Power will have a limited release on July 28 and will go nationwide in August. Directors Jon Shenk and Bonni Cohen were on hand as the film closed the Nantucket Film Festival, admitting they have been rushing to make several changes to the doc, including an epilogue. The epilogue will bring everyone up to speed on Trump taking the U.S. out of the Paris Accord. It will also include all the backlash that has come as a result of the unpopular move. "We spent a great deal of time with Al thinking about how to respond in the film," Cohen told The Hollywood Reporter. "He’s been very engaged and frankly is much less diplomatic now. Since Trump pulled out, Al’s gloves have come off. And he’s been utterly disheartened and publicly doesn’t have to be diplomatic anymore." The documentary follows Gore at the Paris climate conference in December 2015 (COP21), where 195 countries adopted the first-ever universal, legally binding global climate deal. After Trump backed out of the accord, it was clear Cohen and Shenk would need to edit the film to reflect what had just happened. Using your own words above "legally binding global climate deal", why was the President even allowed to pull out without having to pay hefty fees or being made to stick to the original deal? I don't agree with all his trying to destroy everything Obama put in place, but this is one of his dumbest moves by far. Climate change has been happening for millions of years. No one can stop bad weather! Gore should be ashamed of pushing this scam onto the world. It is nothing but a wealth redistribution scam. President Trump continues to lead the way.